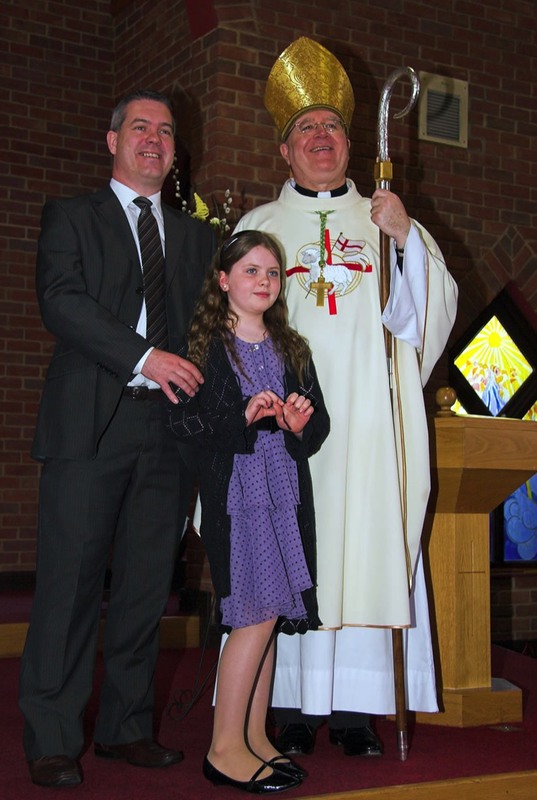 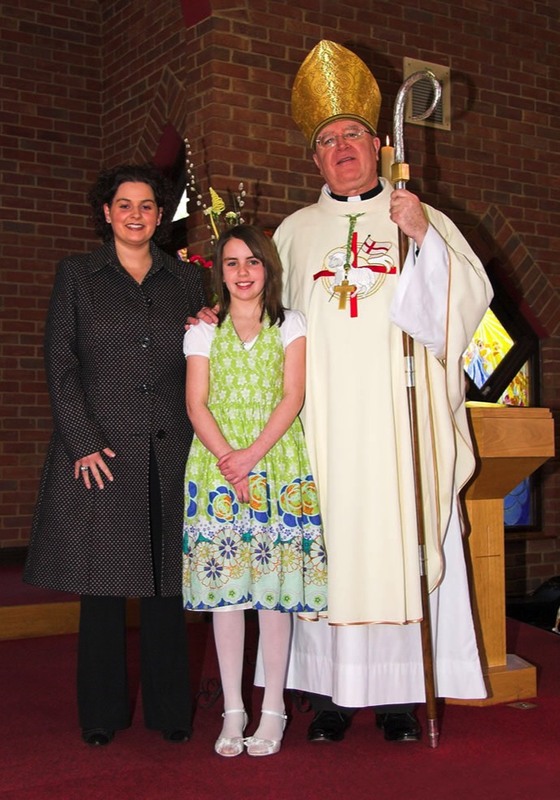 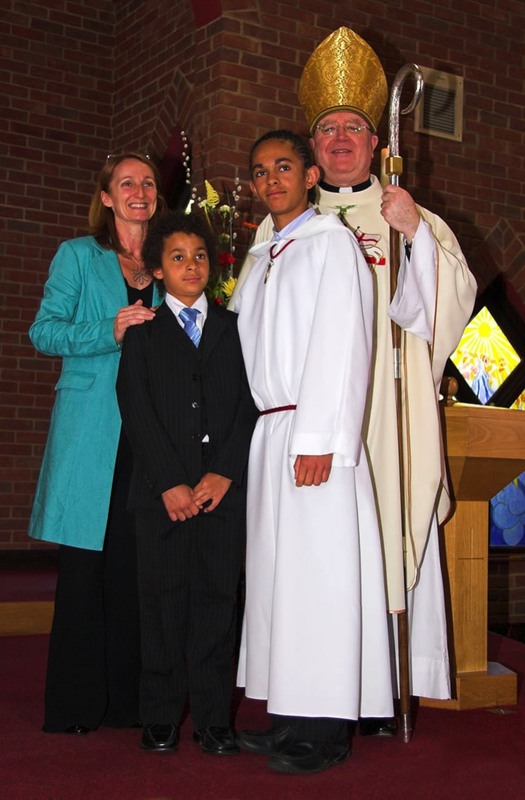 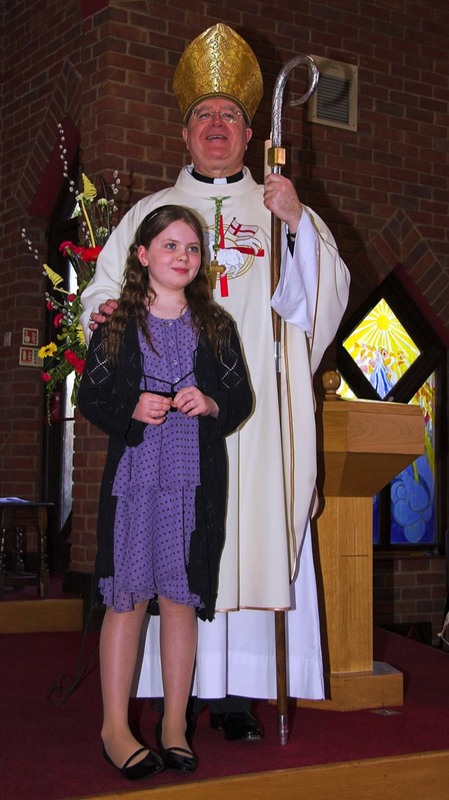 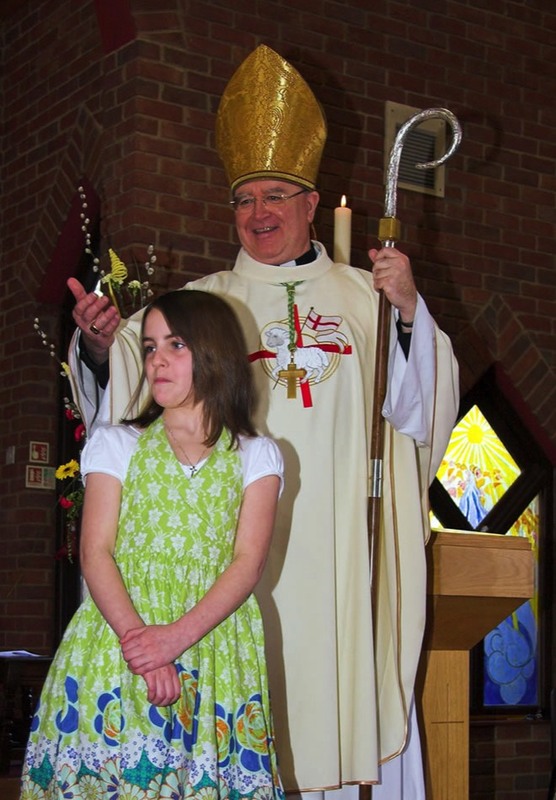 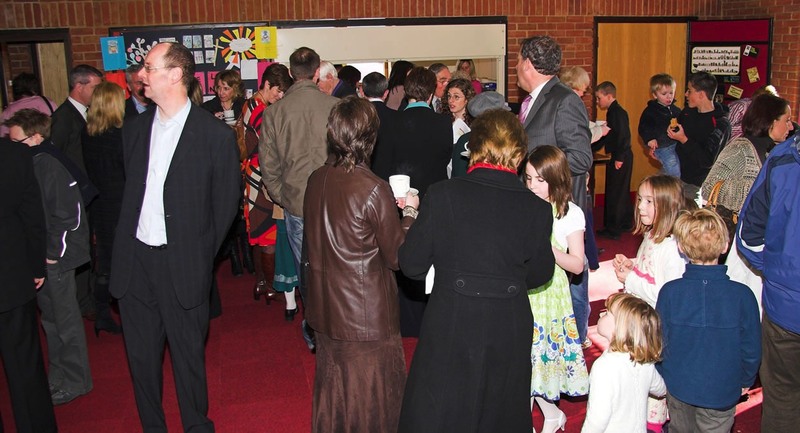 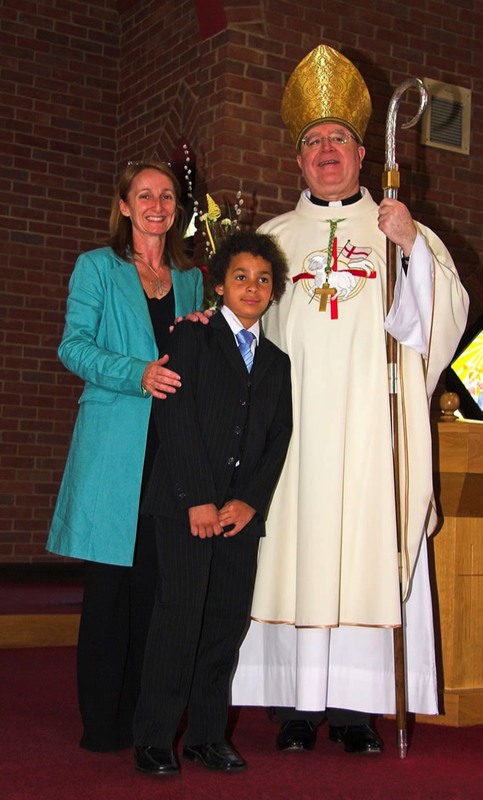 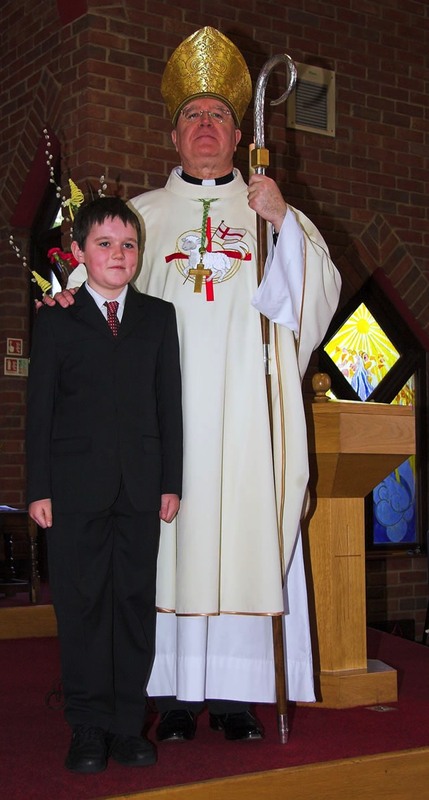 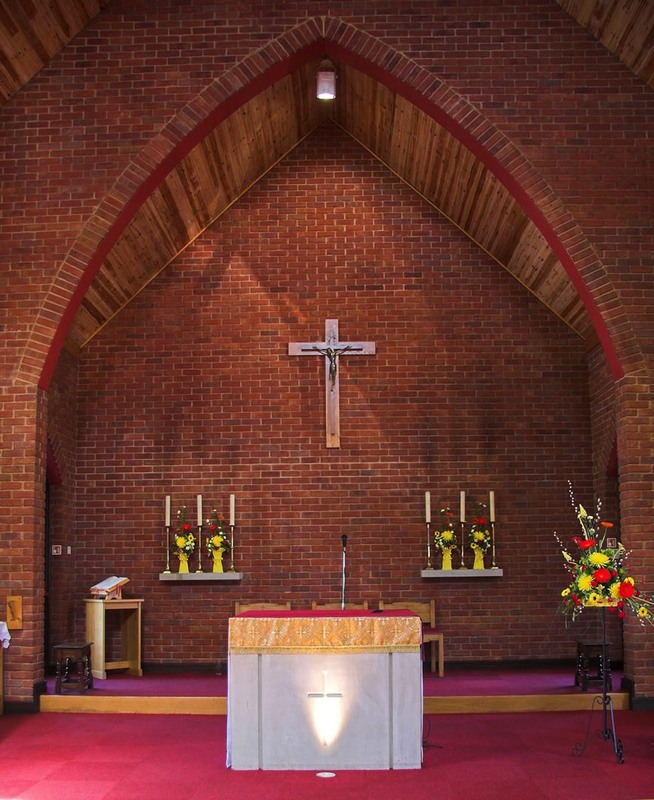 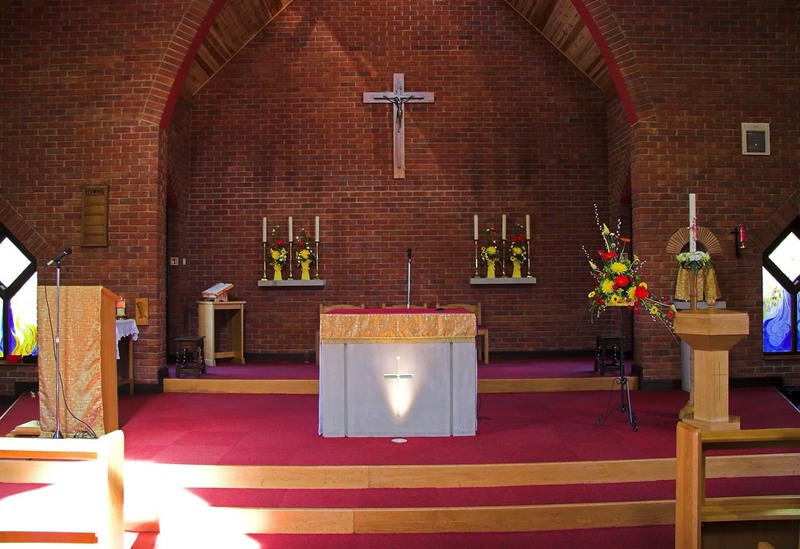 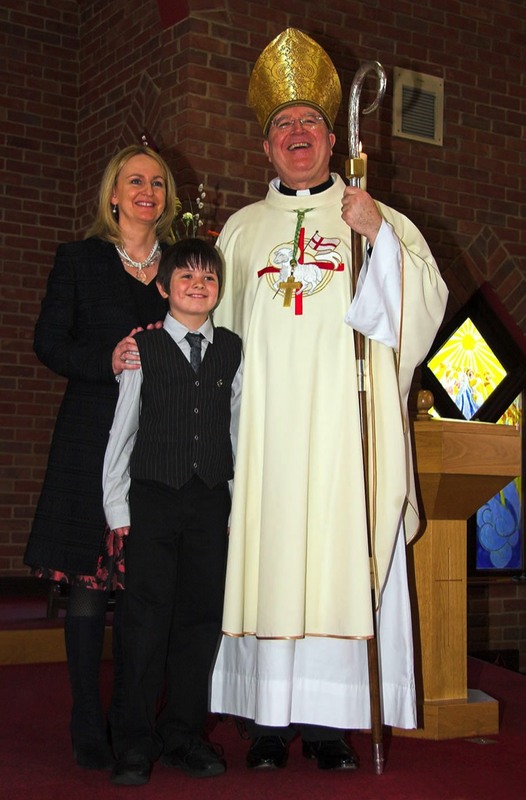 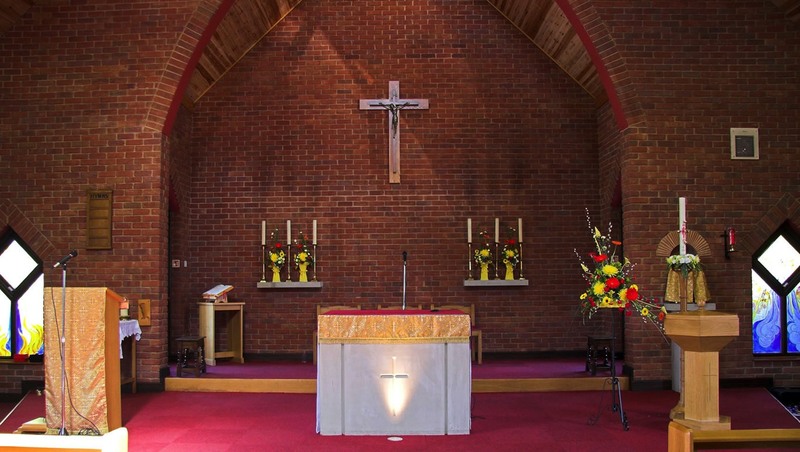 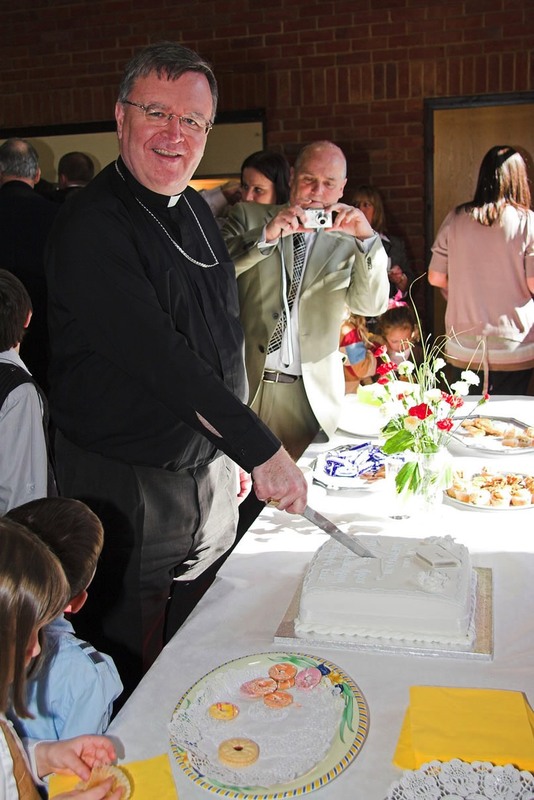 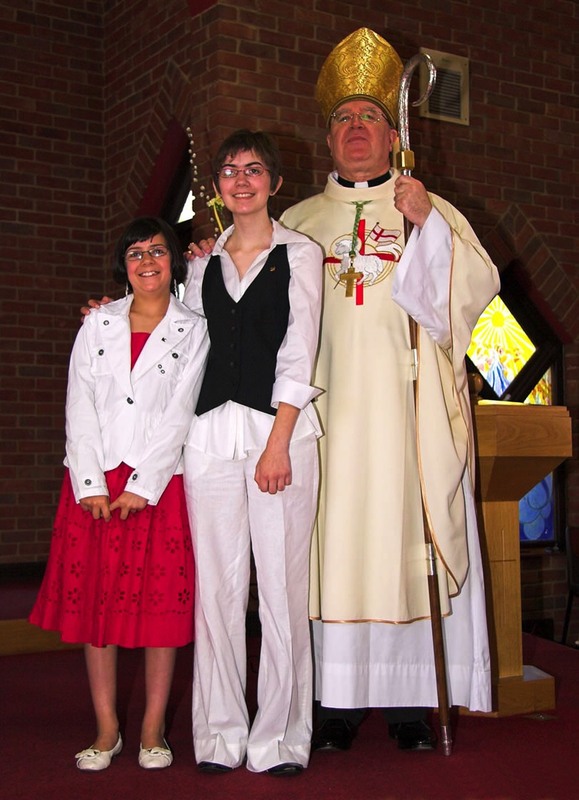 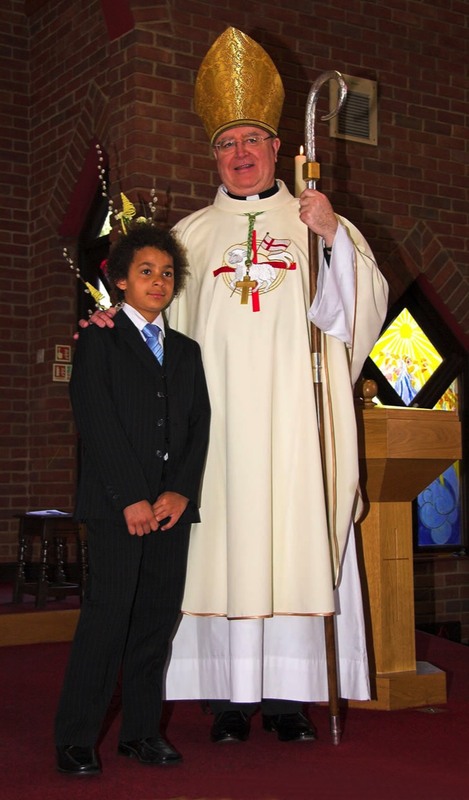 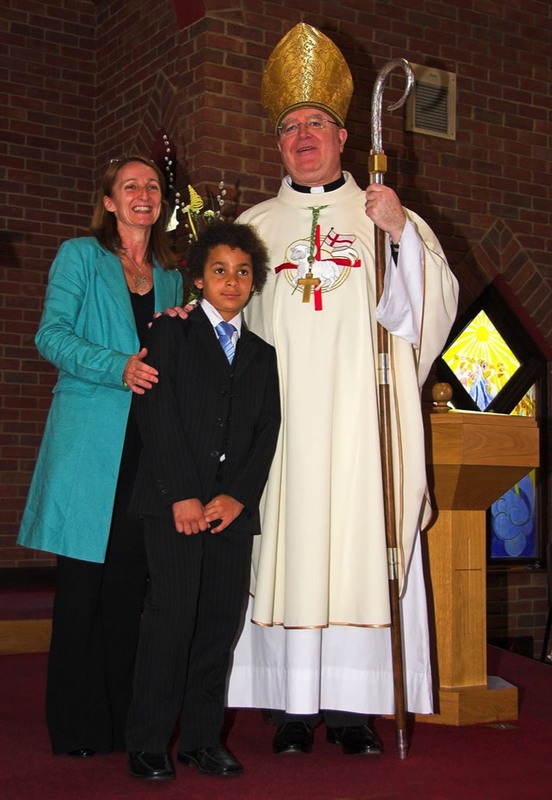 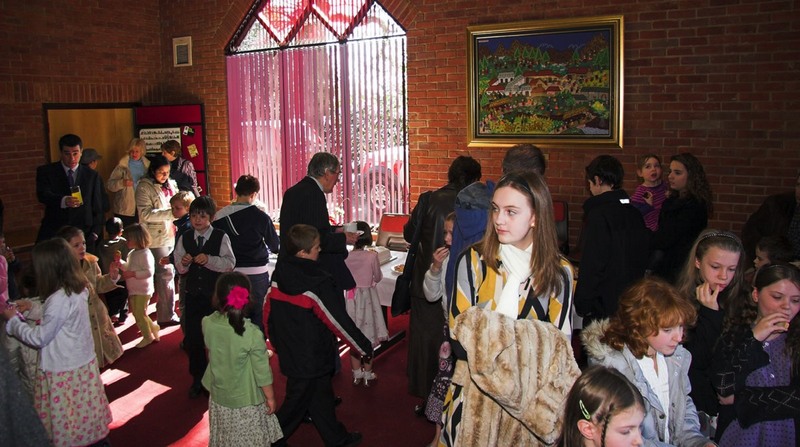 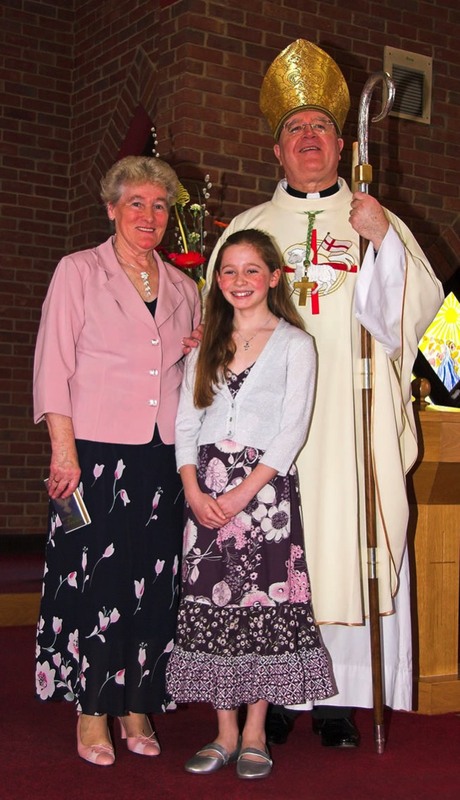 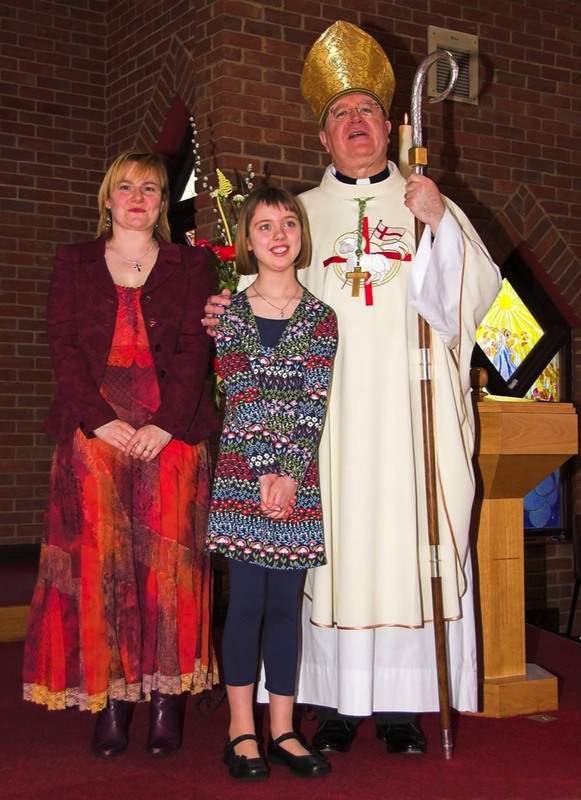 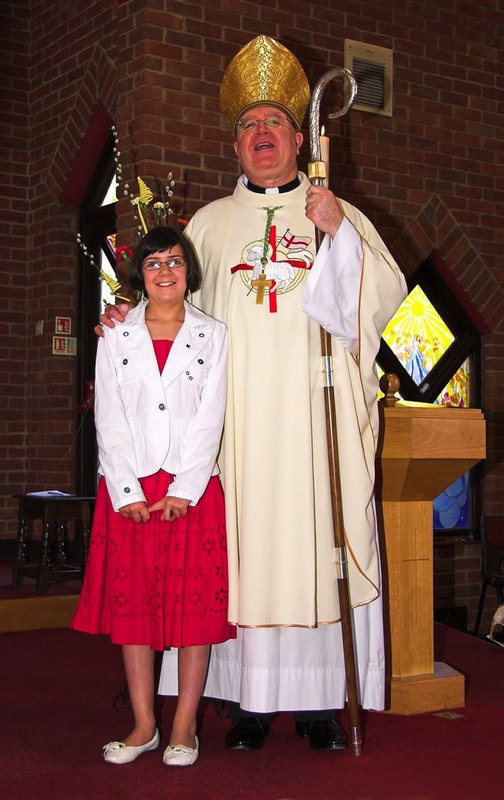 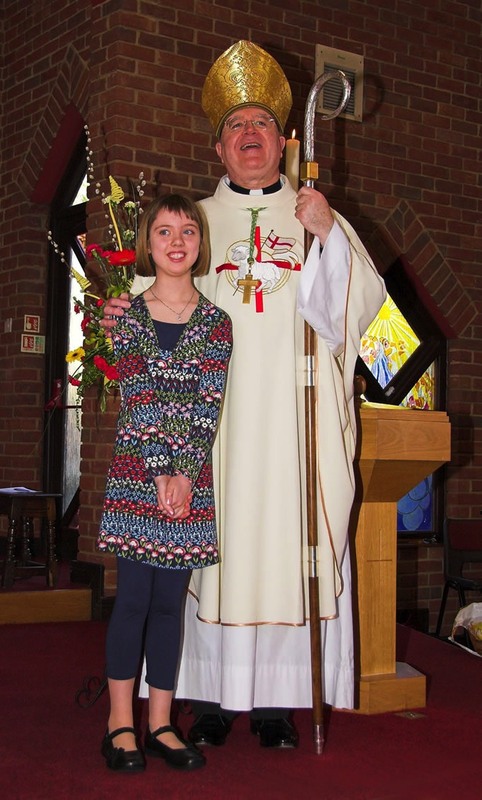 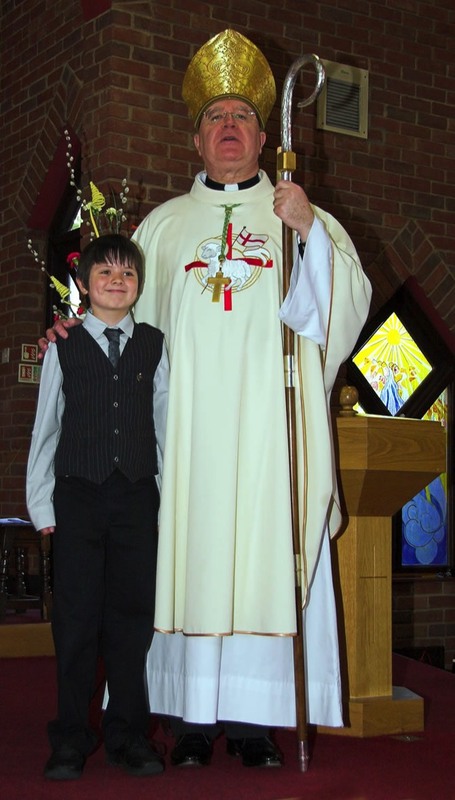 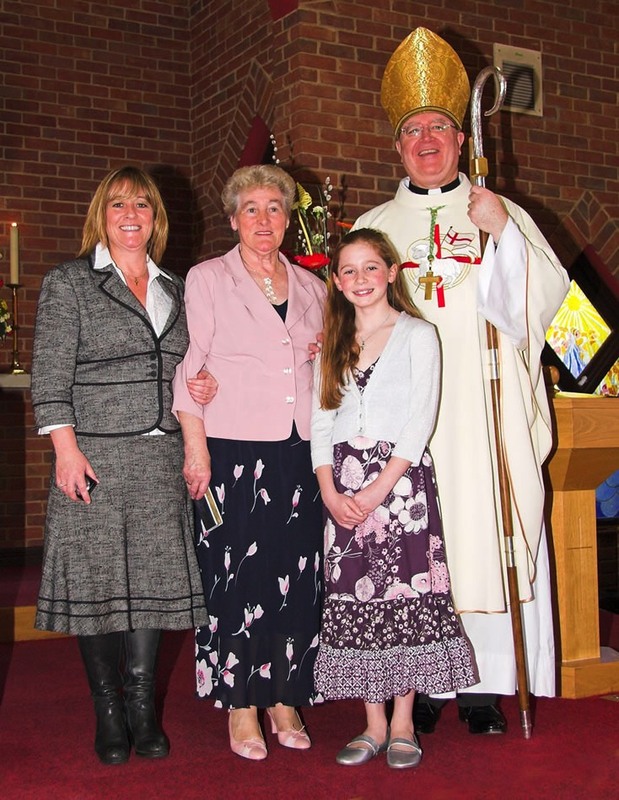 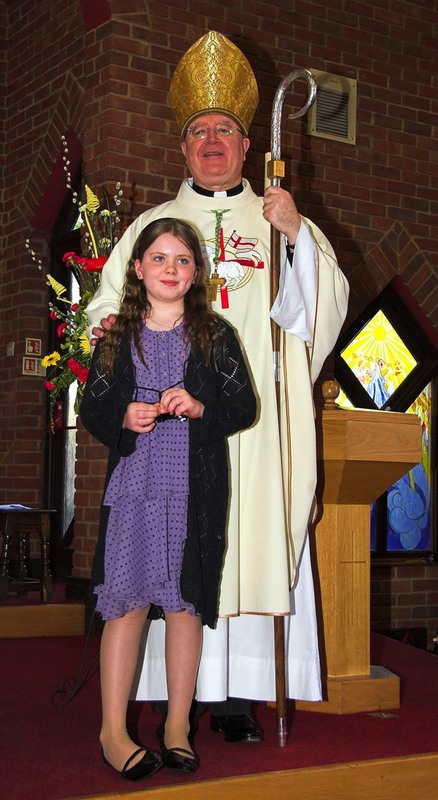 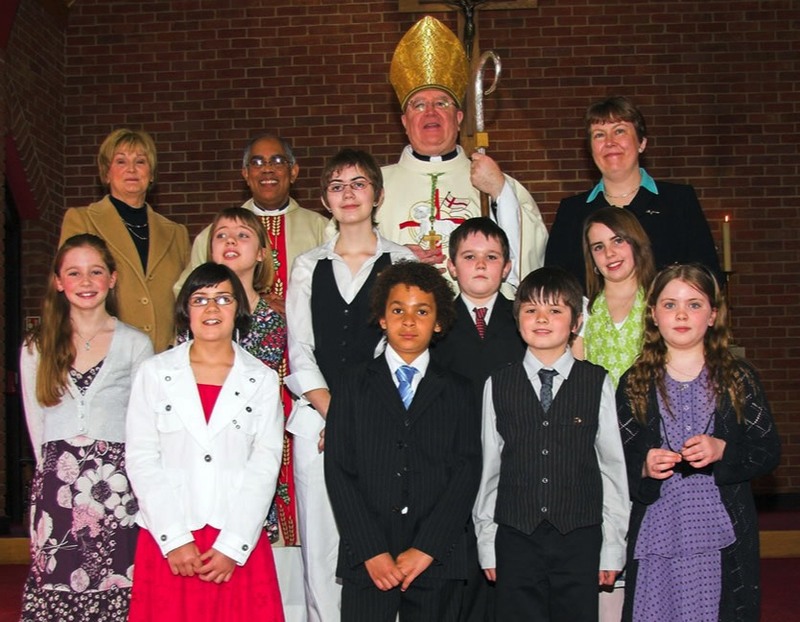 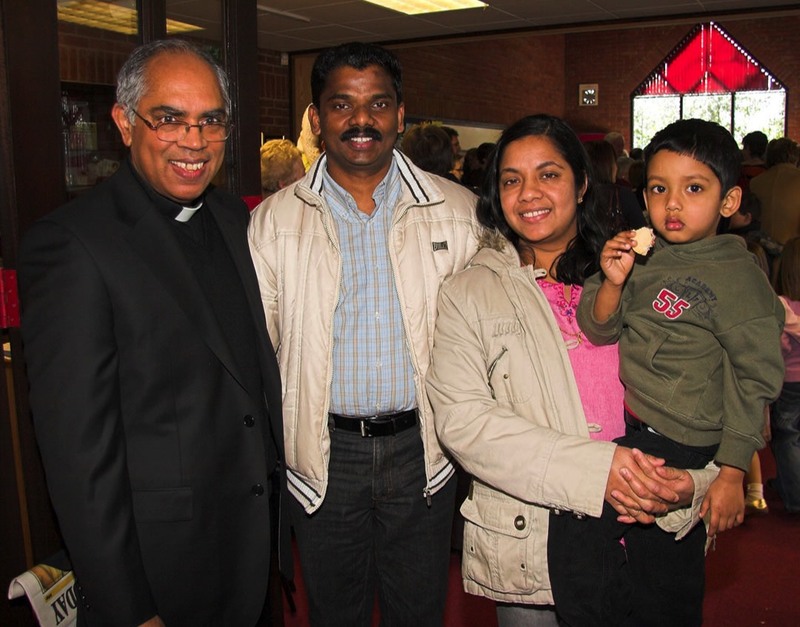 On Sunday 6th April 2008, our parish welcomed Bishop William Kenney, Auxiliary Bishop of Birmingham, to celebrate Mass and administer the sacrament of confirmation on nine of our young people. 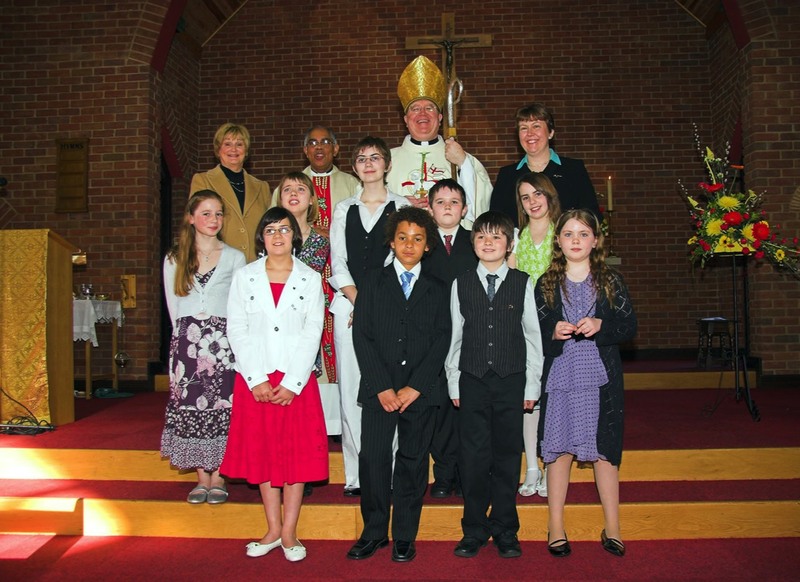 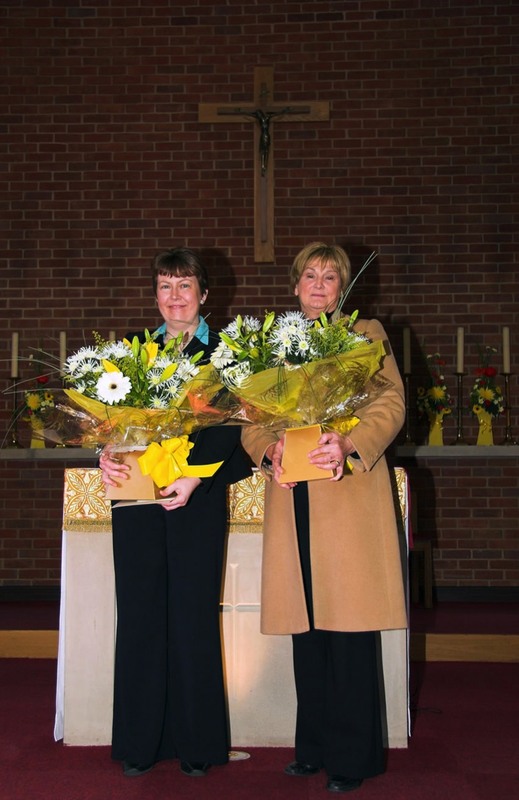 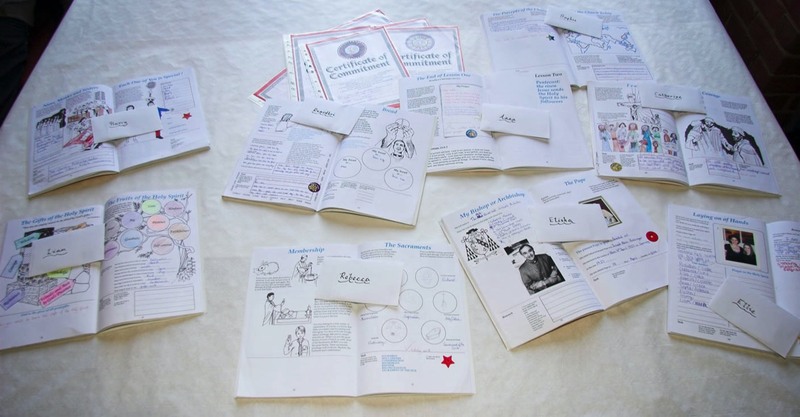 This event was the culmination of much work by the parish, and in particular by Teresa Green & Madeleine Peat who were responsible for providing instruction to these young people. 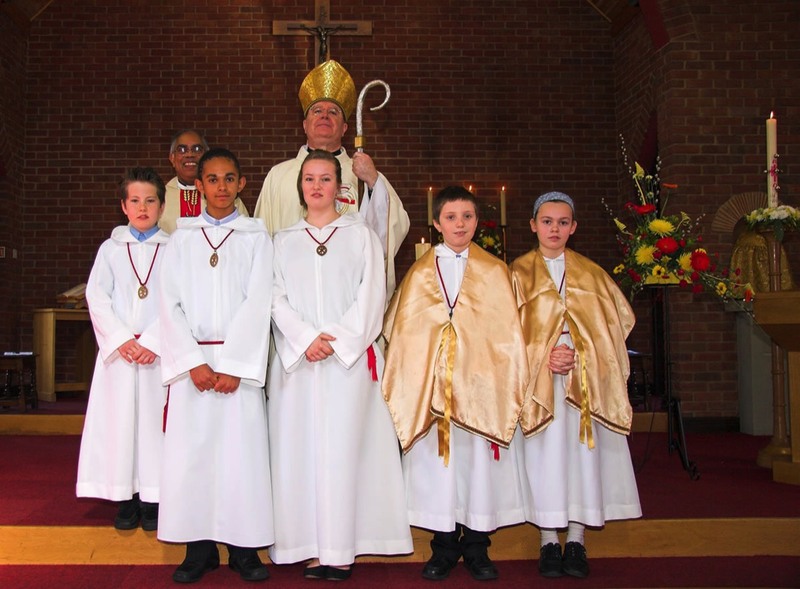 The service was prepared with the help of the candidates, who also read the readings, psalm and bidding prayers in the Mass. 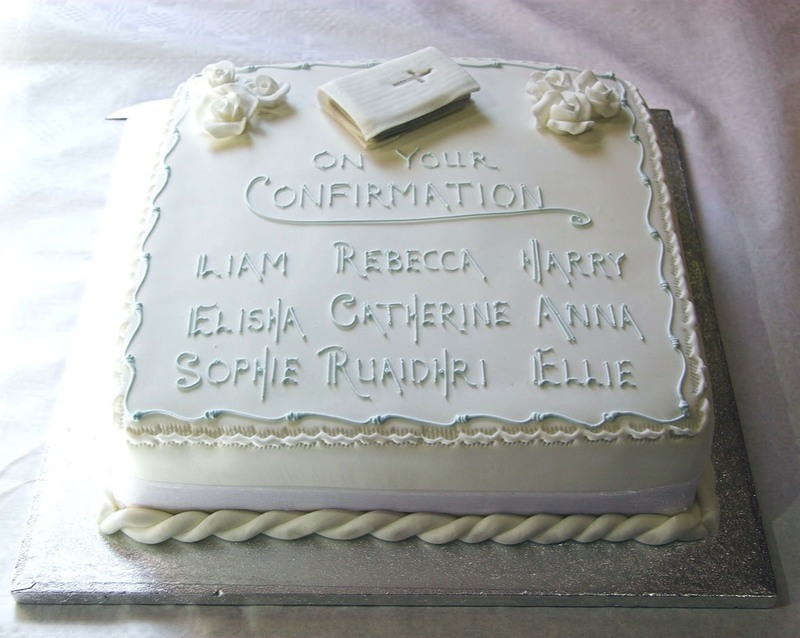 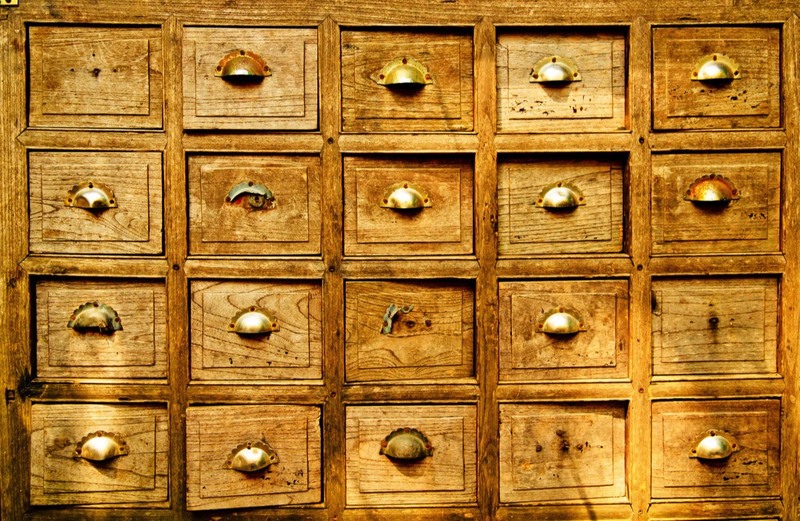 A special order of service was prepared for the occasion. 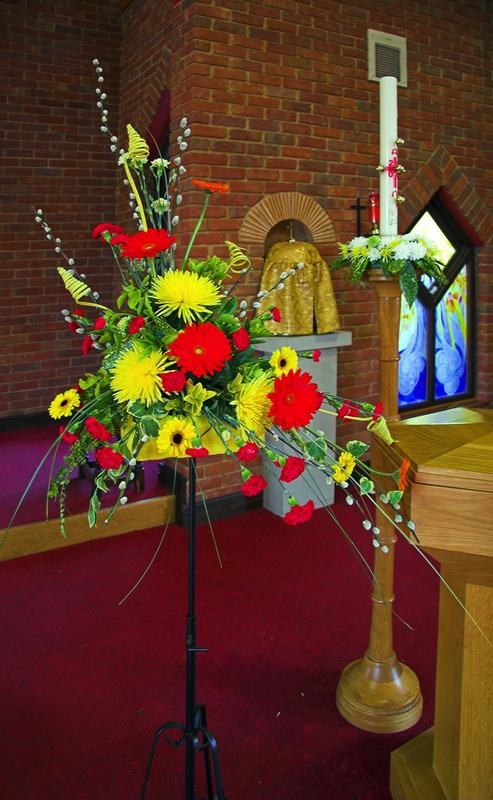 Music was provided by the parish's instrumental group, Linda Chesshire on the organ and both the adult and children's choirs who sang 'Let all Creation Sing' by David Ogden after Communion.